All PreciseRF products are now available with an optional NIST calibration certificate. To add the NIST calibration certificate to your order, simply select the option from the drop down on the product page. The NIST calibration certificate is provided for users needing a calibration reference showing the actual performance achieved. This calibration is done using NIST traceable instruments. 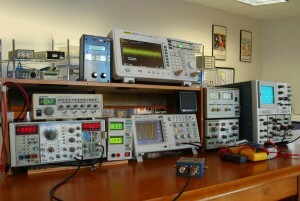 Some test and measurement equipment was calibrated at the PreciseRF laboratory using NIST traceable instruments. The item calibrated may be used as a calibration reference only, and shall not be used as a NIST calibration standard. This certificate shall not be reproduced without the express written permission from the calibration facility.